Jarrow Formulas Gentle Fibers provides high-quality fibers and lignans that promote cardiovascular and immune health along with good digestion and proper elimination. The insoluble fibers (flax and chia) in Jarrow Formulas Gentle Fibers positively affect elimination by promoting increased peristalsis (wave-like motion of intestines) and bulking effects. 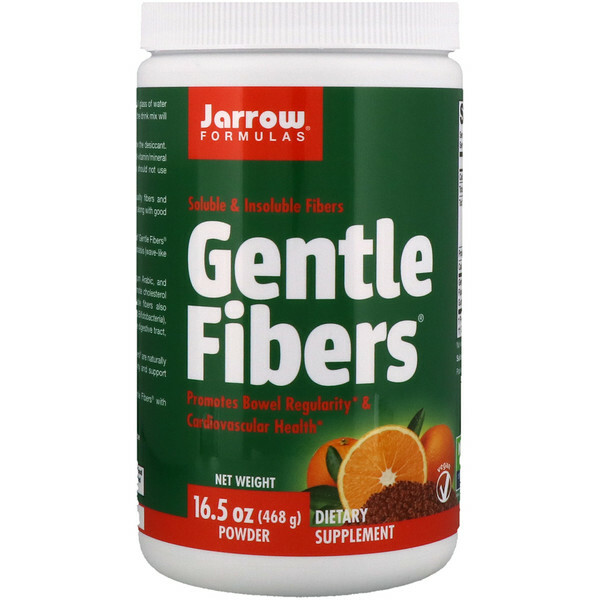 The soluble fibers (flaxseed, orange pulp & peel, gum Arabic, and inulin-FOS) in Jarrow Formulas Gentle Fibers promote cholesterol metabolism and cardiovascular health. These soluble fibers also promote the growth of the good bacteria (Lactobacilli and Bifidobacteria), which are important in maintaining the proper pH of the digestive tract, good digestion, and immune modulation. 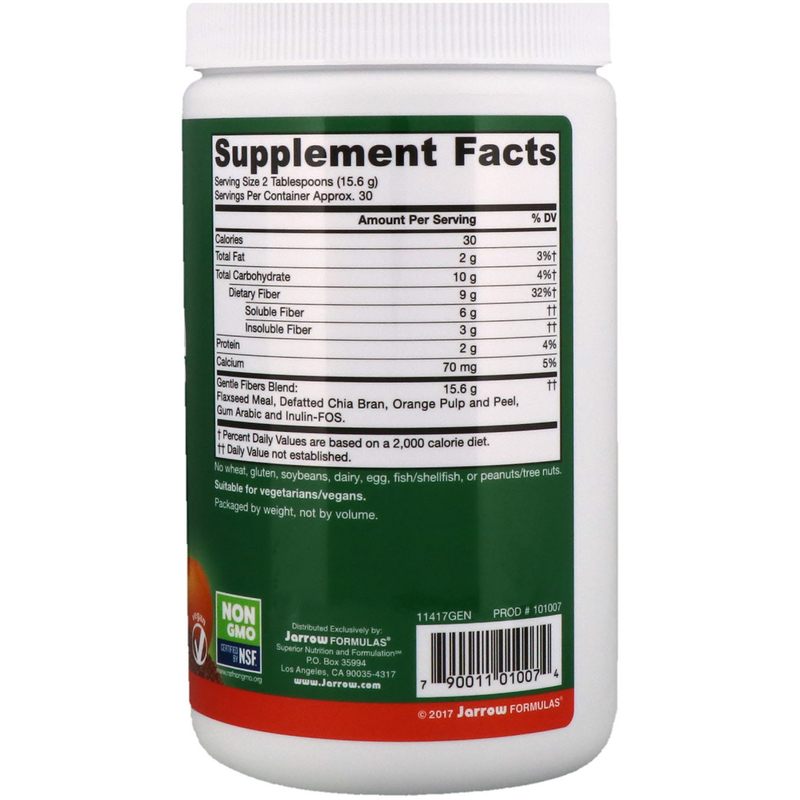 The lignans (from flax) in Jarrow Formulas Gentle Fibers are naturally occurring phytoestrogens that exhibit antioxidant activity and support healthy cell replication and cardiovascular function. To best increase the intestinal friendly flora, take Gentle Fibers with Jarro-Dophilus of Bifidus Balance. Stir 2 tablespoons (15.6) vigorously into a full glass of water or juice until dispersed completely. If allowed to stand, the drink mix will thicken. Drink with plenty of water.